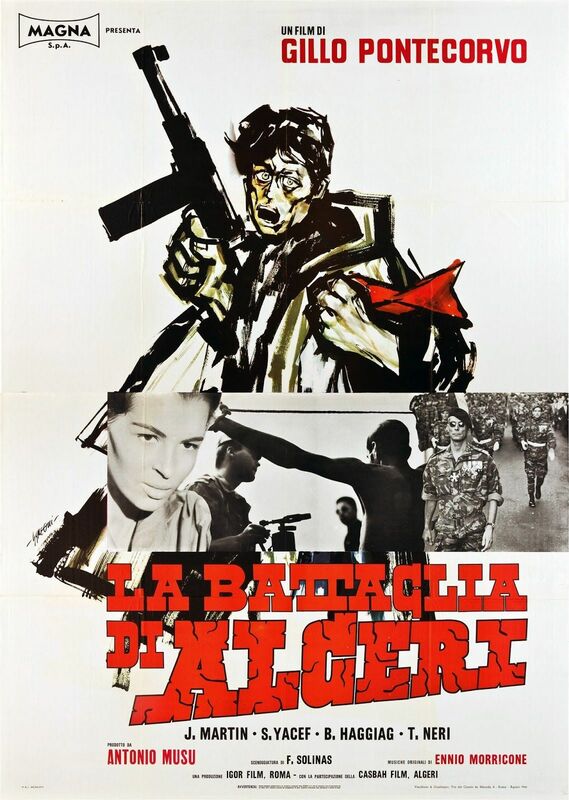 Brief Synopsis – Depicts the events that occurred during the three years in the 1950’s when Algerian citizens waged a guerilla war against the French occupying forces who were equally as brutal towards the citizens. My Take on it – This film is a great example of how much a film depicting a real event manages to show the true nature of both sides of a conflict. Things on both sides escalate to points where neither side can stop the bloodshed and tactics in order to try and beta the other side into submission. Some of the scenes presented here are quite brutal yet they still manage to give off such realism the entire time. This film utilizes mostly non-actors in order to give as realistic a feel as possible and it works almost the entire time because the characters are seem genuine instead of feeling like they are acting. The filming style is quite fluid and they still manage to make things seem and feel as if we are viewing a documentary of the events instead of a fictionalized version of it all. I can completely understand how this film could get nominations for Best Director, Best Foreign Film and Best Screenplay (in different years – see Trivia Section below) even though it didn’t manage to win any of them. Bottom Line – Great depiction of how things can escalate when both sides of a war try to do all the can to stop the other side from winning. The choice to mostly use non-actors was a great one because it makes the story feel even more realistic since all of the characters look and act like real people instead of actors. The filming of this film is very fluid and it is given a documentary feel in order for the viewer to feel as if they are watching the real events as they take place. It’s very understandable how this film was able to get nominated for Best Foreign language film and Best Director (in different years (see Trivia section below) Highly Recommended! MovieRob’s Favorite Trivia #1 – Director Gillo Pontecorvo and composer Ennio Morricone had regular disagreements over the movie’s score. At one point, Pontecorvo had a melody stuck in his mind which he desperately wanted as a theme in the movie. He went to Morricone’s apartment to play it for him, and hummed the tune all the way up to the top floor. Then Morricone asked him to wait with the tune, since he had conceived a melody of his own. To Pontecorvo’s surprise, the tune was exactly the same as the one he had in mind, and he was delighted to find out that after all those months of struggling, they had finally found something, separate from each other, on which they could agree. It wasn’t until months later at the Venice film festival that Morricone admitted that he had pulled a prank on him; he had already heard Pontecorvo humming the song while coming up the stairs, and decided to pretend he had come up with the same melody himself.